You’ve all heard this: If you’re interested in losing weight, you must exercise and eat right. Fine. But there is so much confusing information out there that it’s sometimes easier said than done. Yet, there are 6 foods that will bust belly fat like no others. And we’re not eating them enough. They all work wonders for the very same reason: Fiber. If you’re serious about this, you need to cook your own food and incorporate these amazing ingredients into your diet. Don’t worry if you’re not too sure how. I’m giving you my top skinny chef tips below. That’s beans and lentils. If you have time, cook them dry (overnight soaking + a couple of hours of cooking). But if not, just open a can, drain them, rinse them well, and add them to almost anything. I mean it. Add to: soups, salads, casseroles, stews, vegetable dishes, rice dishes, etc. Did you know?… You can blend any legume to make a hummus-type dip. Grab your food processor and try navy beans, black beans, pinto beans, and of course garbanzo beans. Did you know?… You can make a salad out of any of these greens. Even beet greens. Time to ditch the iceberg lettuce. These are also super easy to add to anything and are fiber powerhouse. So they help you lose a ton of weight with NO effort. Flaxseeds are the best. Seeds are wonderful on salads, for instance. Try hemp seeds, pumpkin, and sunflower seeds too. Did you know?… Whole seeds kind of go in and out as is, if you know what I mean. It’s best to crush them or buy them ground so your body can better digest them. Try ground flaxseeds, for instance. Brazilian nuts (the huge ones) are my favorite. So much fat-busting fiber! Fill up on walnuts, pecans, cashews, pistachios, etc. Did you know?… All chefs toast their nuts. Just put them on a cookie sheet and bake for a few minutes (they’ll become fragrant and lightly golden). They are so much tastier that way. Vegetables are best consumed raw, so that you get all of the benefit of the nutrients and soluble fiber instead of cooking them out. 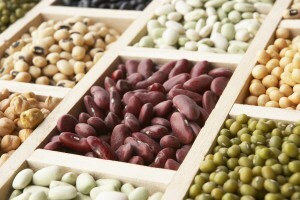 Especially important: colorful vegetables like red cabbage, radishes, edamame, zucchini, etc. Use them as a salad garnish or eat them whole as a high-fiber, belly-filling snack. Did you know?… Many vegetables can be eaten with no cooking whatsoever. Like asparagus, celery root, beets, or even Brussels sprouts. 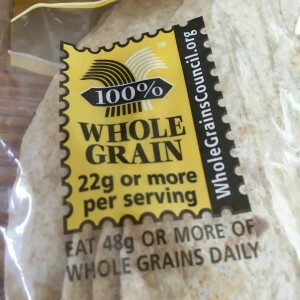 Did you know?… Whole-grain products sometimes make the difference between foods being “forbidden” and allowed — like pasta or rice. This list can change your life. None of these add-ups require much work. Just add to your existing diet and see huge improvements. Let me know how well you’re doing with it.